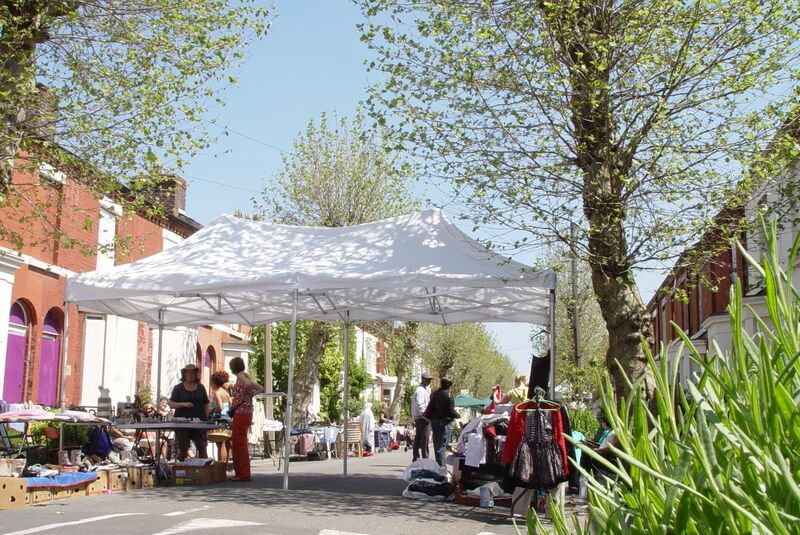 Glorious sunshine for a street market day. Ronnie walks us round. Cairns Street in the sunshine. 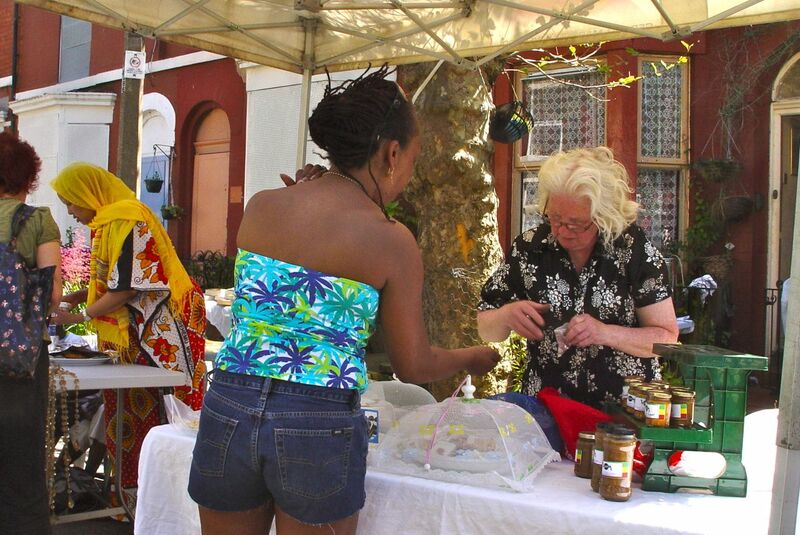 Today was perfect for a street market. 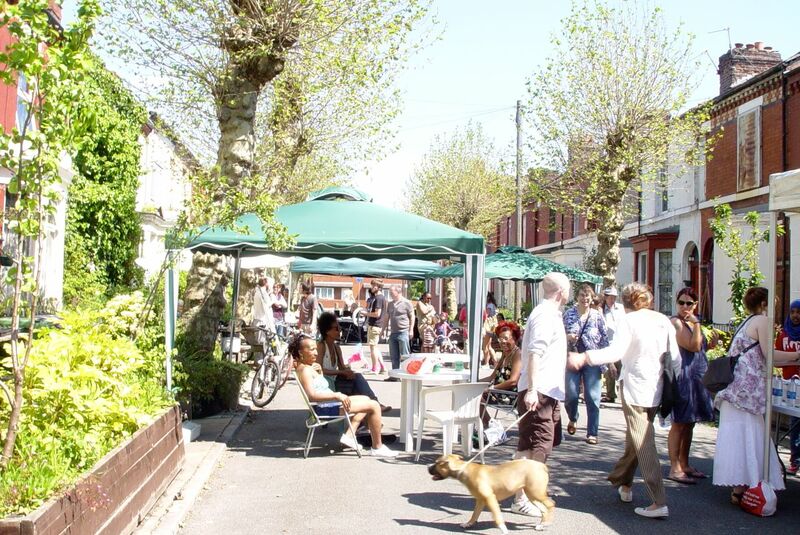 And from early morning Cairns Street in Granby, Liverpool 8 got itself ready for a perfect day. 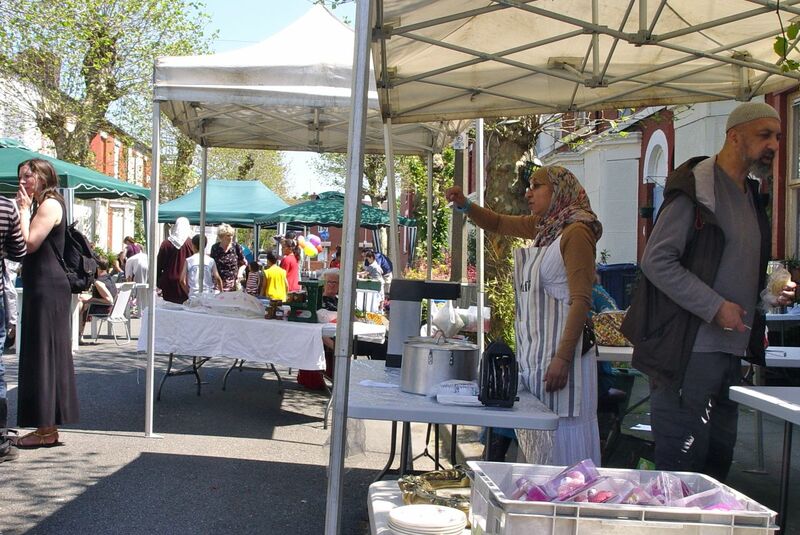 Gazebos set up, stalls filled, music turned on. 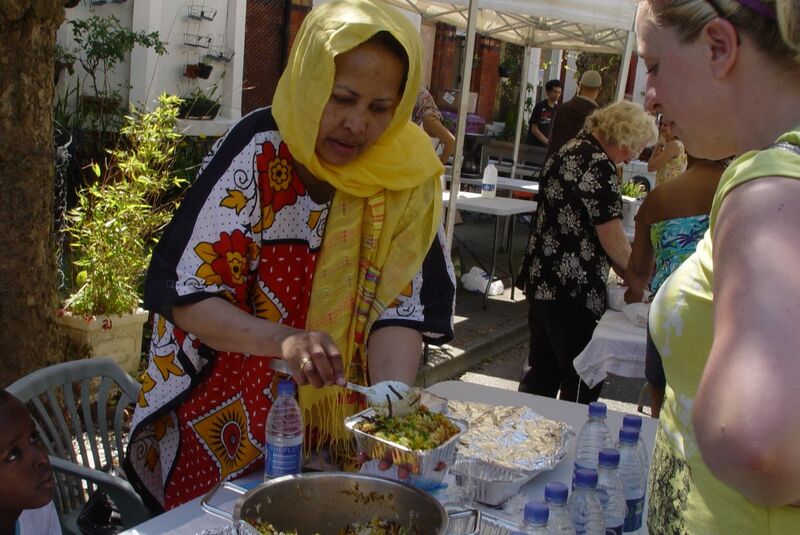 and soon the people started to arrive, knowing it’s the last Saturday of the month, the day of the Granby 4 Streets Market. Dr Bike was there, with a constant queue of bikes to be fixed. And James and Tom were running their stall again. No Jack this month. He’s in Denmark visiting Legoland! A bigger emphasis on cakes this month. Though some Vimto was still available. 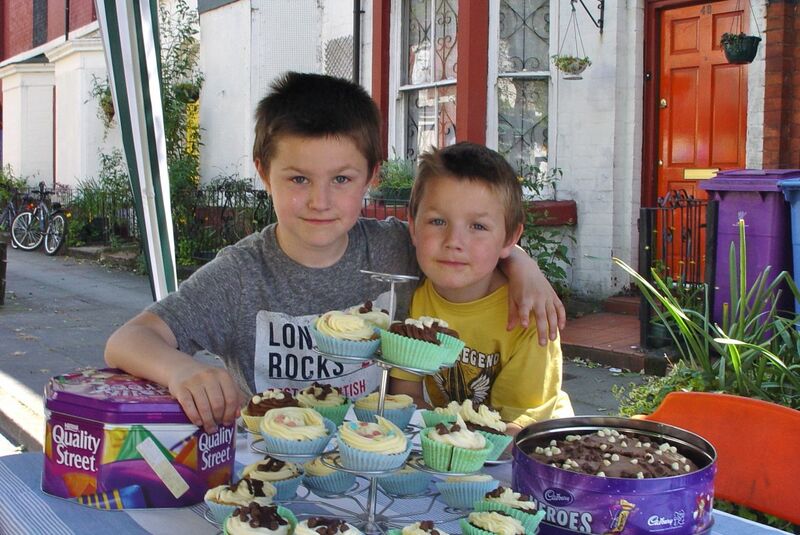 I mentioned last month that James and Tom donate all the money they make from the 4 Streets Market to charity. And they told me today who the two charities are. 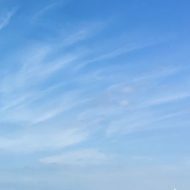 One is ‘Advocacy Works’, providing community mental health and wellbeing advocacy for the people of Liverpool. And the other is Elizabeth Anderson House, a project in Liverpool, providing housing and support to teenage parents and pregnant young women. 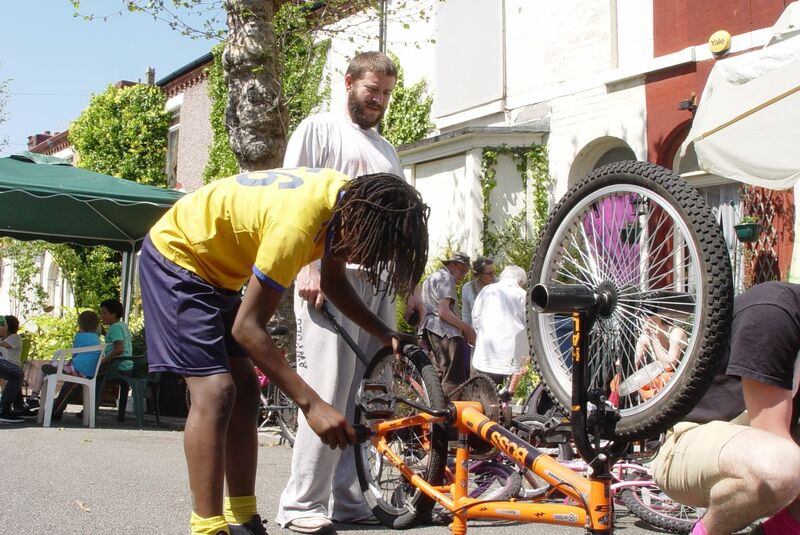 Both projects are run as part of SHAP, a Merseyside organisation that supports social justice, and combats poverty and homelessness. Well done boys, it’s a privilege to have you at the Market. Not forgetting Anna’s cakes, pies and bread. Also lots of other stalls selling books, DVDs, clothes, plates, bric-a-brac, crafts and other things we’ll have a closer look at next time. Clothes, bric-a-brac and springtime greenery. And there was a clown. 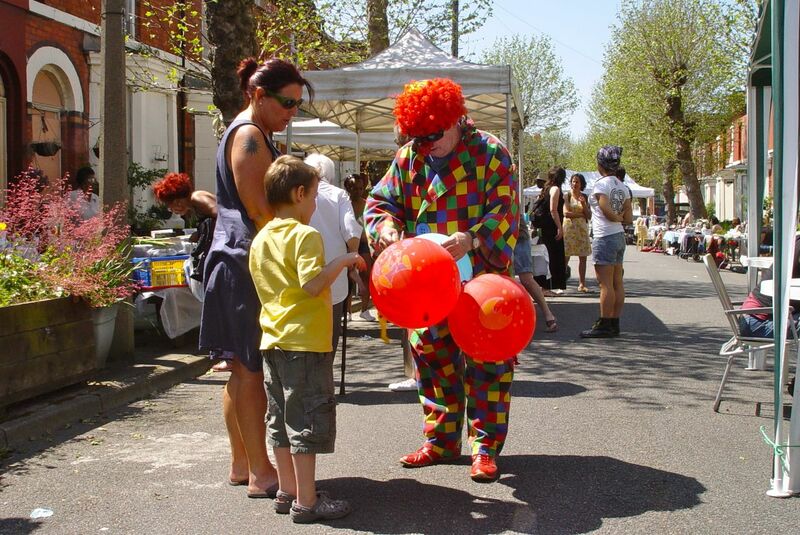 Here selling a balloon to young James and his Mum. So if you were there you’ll know it was as lovely as it looks. And if you weren’t? Well there’s always next month, the last Saturday in June to look forward to. By the people – Of the people – For the people. 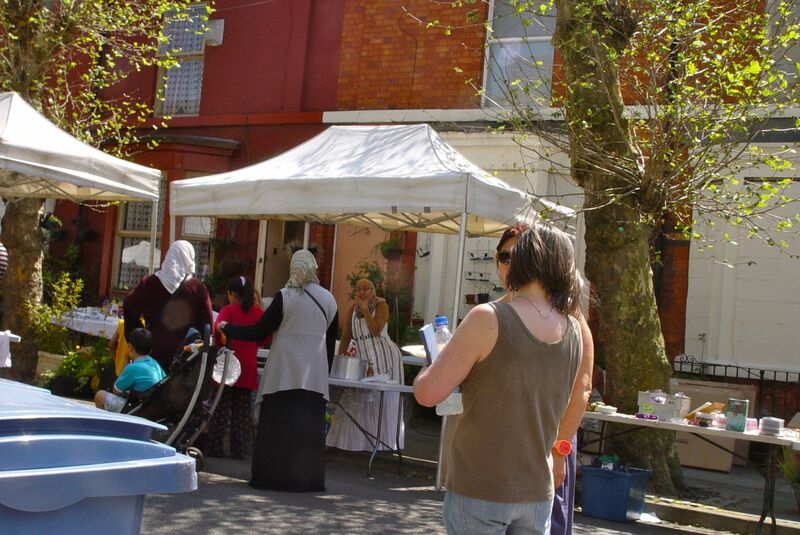 The Granby 4 Streets Market. Granby 4 Streets. A community celebrating itself. 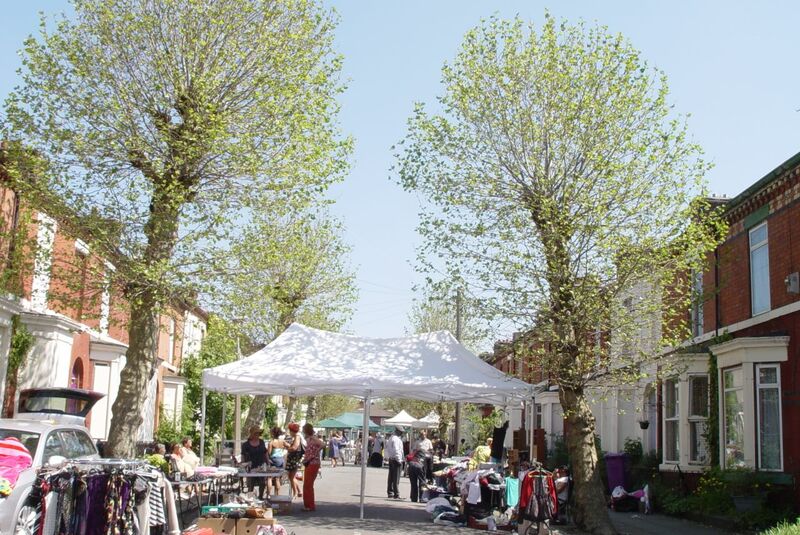 Next market: Saturday, 30th June, from 10:30am to around 3:00pm, the Granby 4 Streets market, Cairns Street, Liverpool 8. 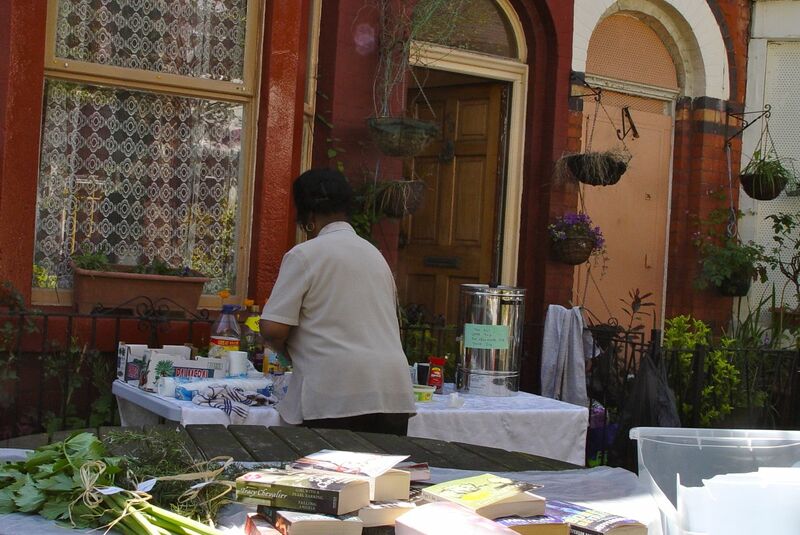 If you want to donate any items, hire a stall, or just want to know more, ring Rosa – 0151 726 9379. 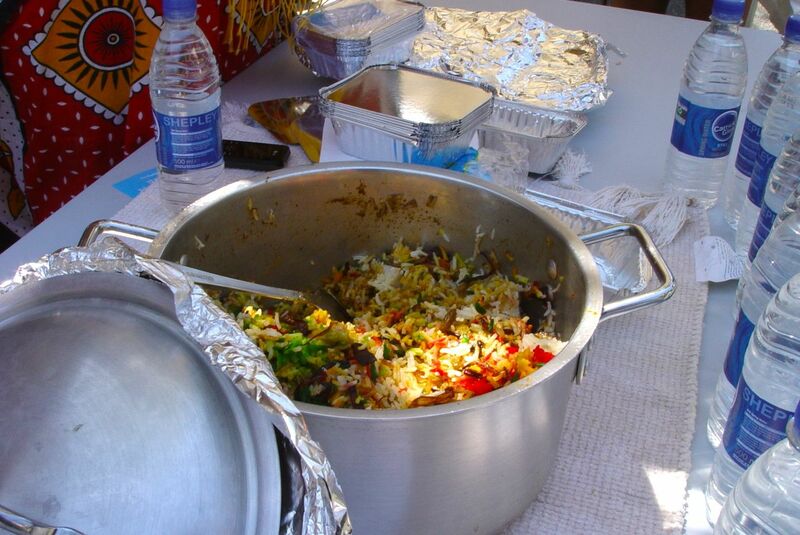 You were Jan, that’ll be £2 for the Somaliland rice! 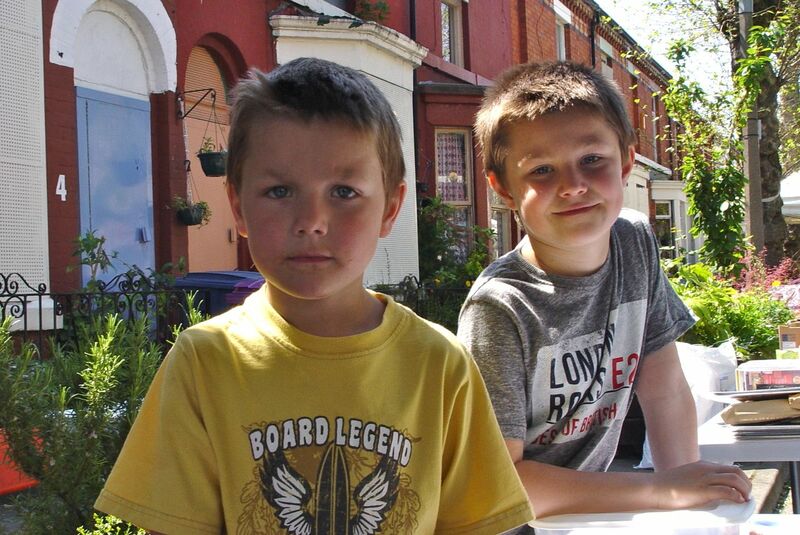 Well in Ronnie, great photos and a lovely insight into the real Granby area. Lovely characters such as Maria, Anna, Tom and James are a welcome sight for anyone to have a chin wag to. A privilege to have somehow blundered into this role of documenting the real Granby, Joe. Thank you.